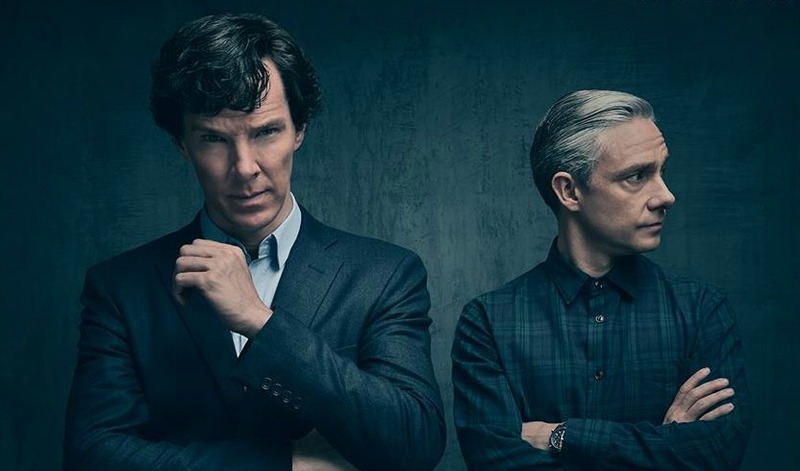 To coincide with this weekend’s official Sherlocked convention – taking place in London and featuring the likes of Benedict Cumberbatch, Mark Gatiss, Andrew Scott, Louise Brealey and Steven Moffat as guests – a massive bit of news for Series Four has dropped. The first two episode titles! As is normal with Sherlock, we can deduce something about each episode due to the title’s reference to a story by Arthur Conan Doyle. For instance, ‘The Lying Detective’ is surely a nod to ‘The Dying Detecitve’ – which makes sense with the fact that Toby Jones has been cast as the villain of that episode, Dr Culverton Smith, who also features in that story. ‘The Six Thatchers’ is even more intriguing. Doyle’s tale is titled ‘The Six Napoleons’ – referring to six statues of the historical figure. However, John’s blog has previously featured an adaptation of the story titled ‘The Six Thatchers.’ It seems that Moffat and Gatiss have decided that this idea is too good to merely be an online short and have made it into an episode. So basically it’s an adaptation of an adaptation. You can read the original blog post here – though I suppose there may be spoilers for the episode! The third title is presumably being kept under wraps as it references something big that they want to remain secret for now. Maybe it’s ‘The Return of Moriarty’ or something? Sherlock Series Four should arrive in January 2017. I would like to think that the “Moriarty” we’ve seen was not the real one, as he would not have been made enough to take his own life to spite Holmes. May be wrong, but a guy can hope, can’t he? I don’t understand this comment. Is it that you don’t like Andrew Scott? We never got a body. He could be alive and I hope he is because I so thoroughly enjoy Andrew’s portrayal. He’s actually my favorite part. He and Benedict together? Magic.